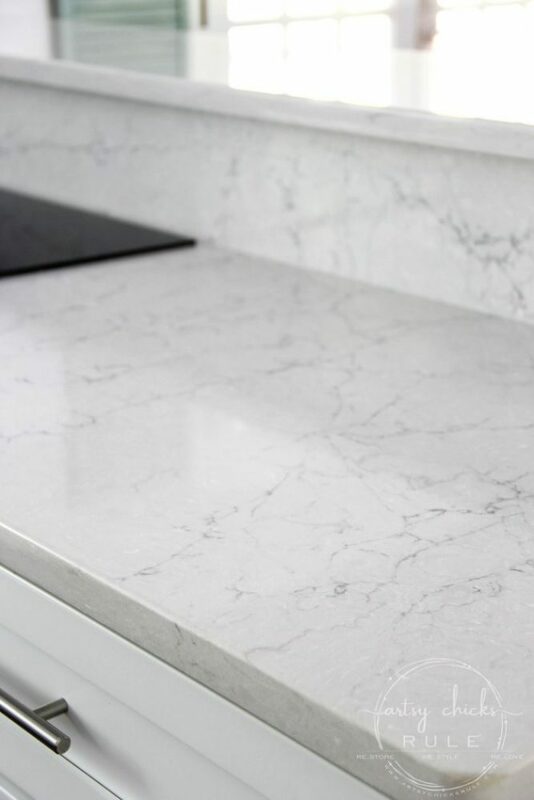 It’s the long awaited, big reveal day for our brand new Wilsonart Quartz Coastal countertops! 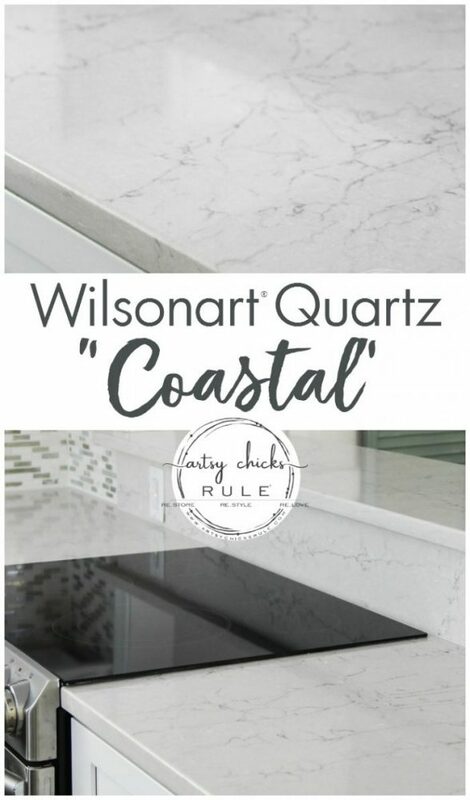 I am SO excited to be sharing with you today, our brand new Wilsonart Quartz Coastal countertops. It’s been a long time coming (or it just feels like it!! ;) ) but we are finally wrapping up all of the home remodel, which included a full kitchen remodel too. All new cabinets, all new appliances, the new flooring which I’ve already revealed to you, and brand new countertops. Which were so graciously supplied to us from Wilsonart! 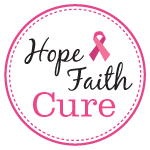 I am thrilled to be partnering with them on our remodel. And let me tell you, they were wonderful enough to supply us with the material/labor for this project, but even if they hadn’t, I wouldn’t have gone any other way. 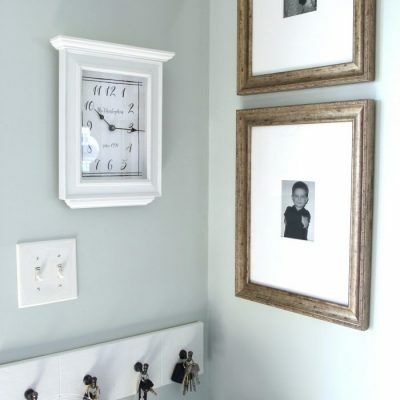 We love and have used Wilsonart in several of our homes now. And, well, once I saw the Coastal, it was a sealed deal. 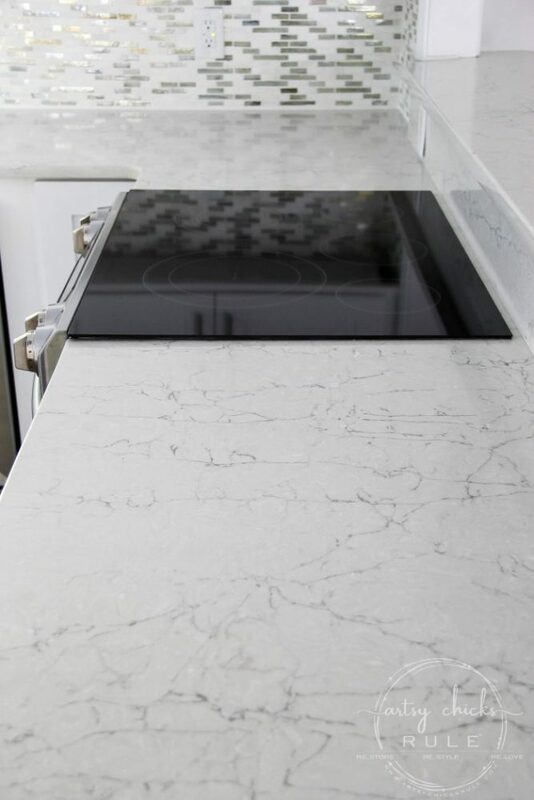 I am in LOVE with these countertops. I mean truly, love, love, love them! I looked and searched at design after design, etc. 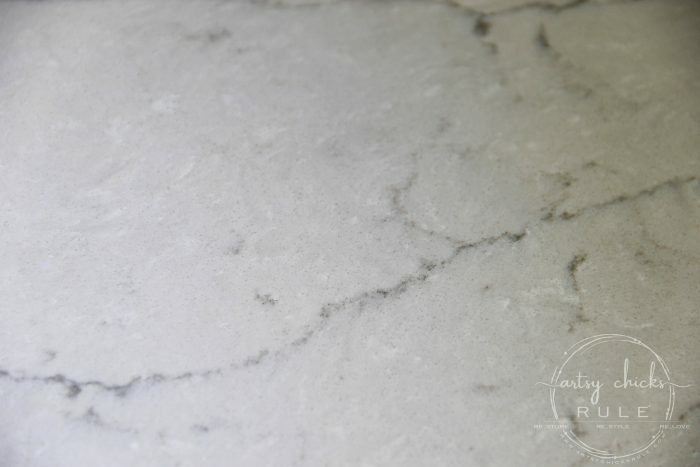 I got several samples in from Wilsonart and I knew almost immediately, Coastal was the winner. 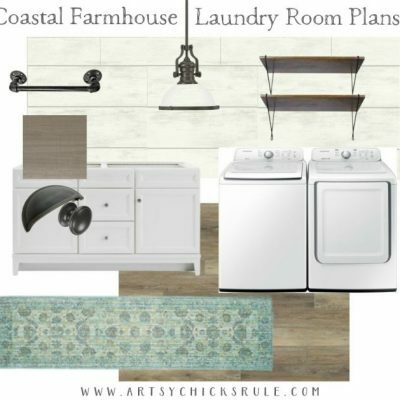 COASTAL….it was meant to be, I tell ya! 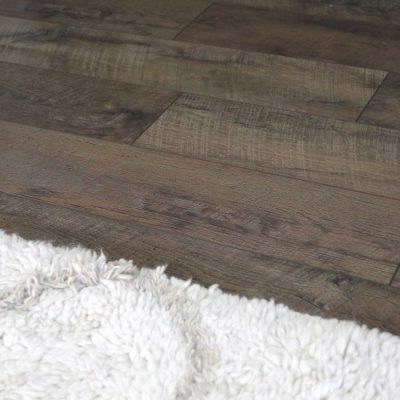 Just like our flooring was named “Driftwood”. Funny how that worked out though, really. So let’s talk remodel for a minute. 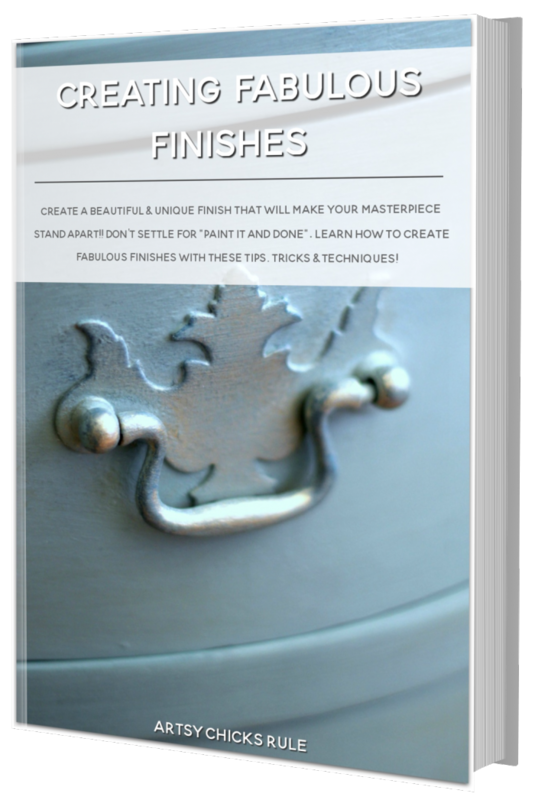 We had planned to be finished with it all several months ago, but when you are doing 99% of it yourself, things tend to take a little longer. Or a lot longer most times. ;) Plus, every single, little thing always takes longer than you imagine it will. 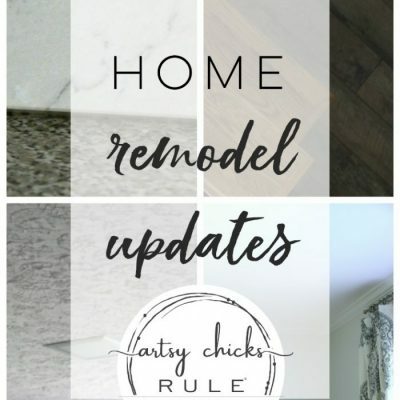 So today I’m sharing the countertop goodness, and little snippets of the kitchen, but not the FULL kitchen remodel. We are not quite ready for that yet….but almost. VERY soon. And now let’s talk (and gaze at!) countertops. 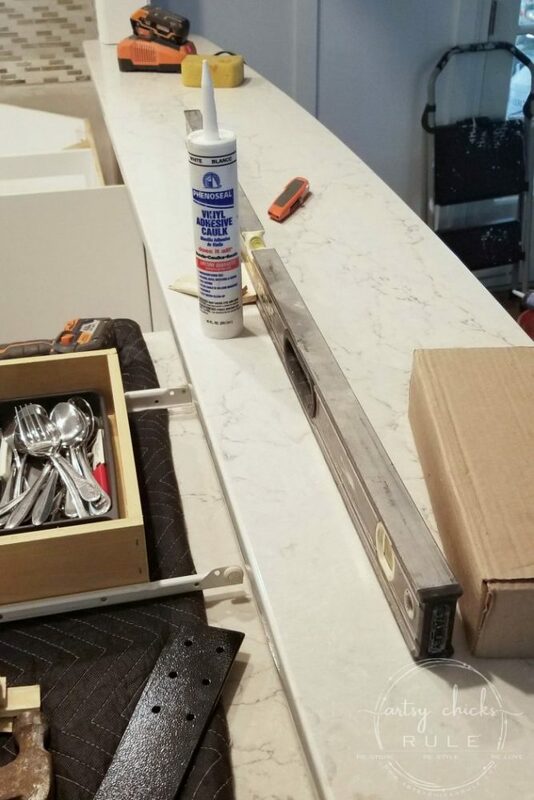 Here’s the sample I received….on top of the installed countertop. I knew I didn’t want plain white, I wanted some sort of variation but still keeping things light and bright. 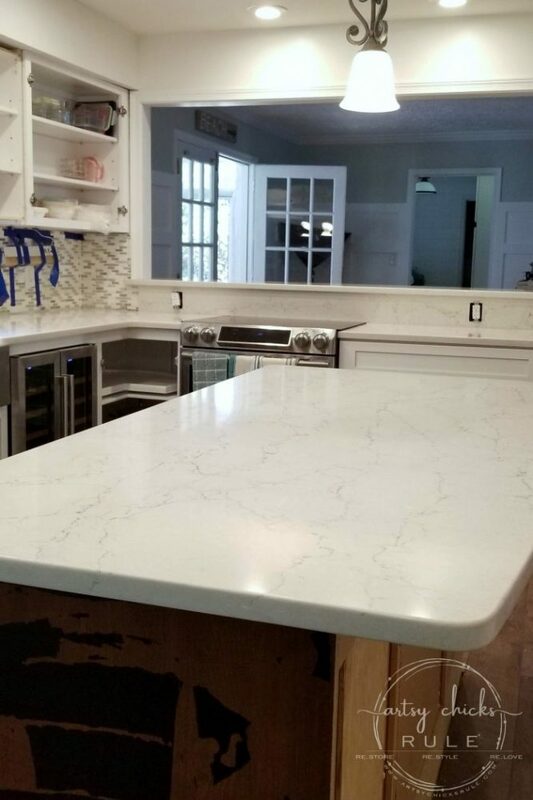 This Wilsonart quartz Coastal Q4036 was the answer. 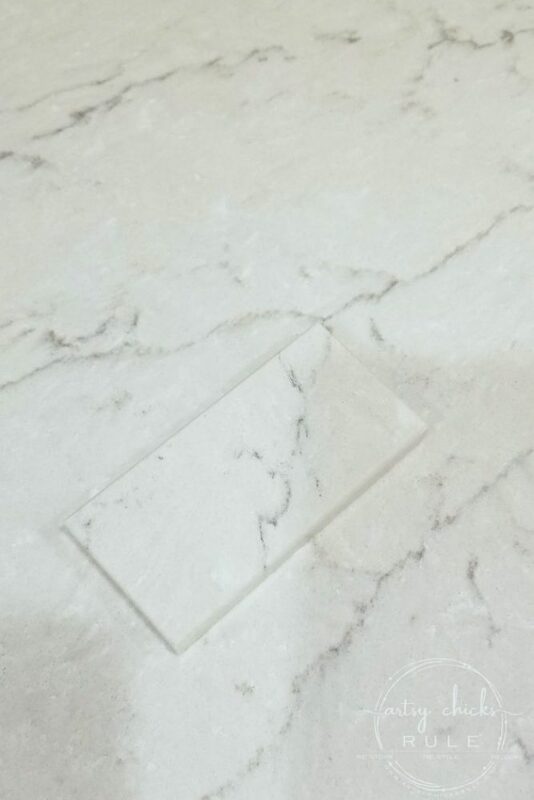 It has a slightly off white base, with bright white variations and pale to medium gray veining. And here’s how they describe it on their site… “Coastal features a mix of warm and cool greys creating a complex canvas backdrop for the dark grey branching”. I think they described it better than I! Trying to show you the colors in these photos, but photos just don’t do it justice. If you follow along on Instagram, you saw a bunch of this as it was happening in my stories over there. I try to share things that are going on as they are going on, over there. 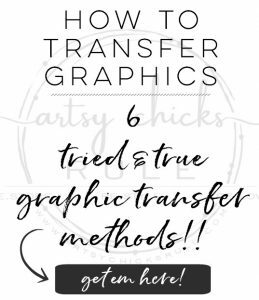 And sometimes things that never even make it to the blog! So if you do Instagram, I’d love to connect with you over there too! So light and bright ….without being just white. Notice our old lighting taped up over there?? It was literally hanging from an electrical cord through a hole in the wall. (connected to the outlets) Well, it got removed, rewired (yay!!) and replaced with under cabinet LED lighting instead. Oh my gosh, SO MUCH BETTER! 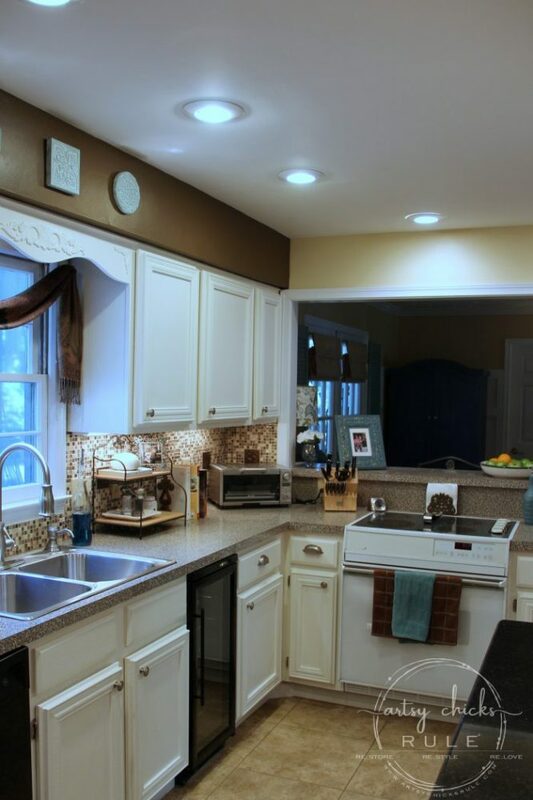 I loved having under cabinet lighting but kinda really hated those old lights and the way someone had wired them. (they were there when we moved in and were old). The LED lighting is on a tiny little strip so you can’t even see it. It’s amazing. And take a look, that back splash is installed over the stove in this photo. OH…and ignore the island…it’s in the works. It’s getting a FULL makeover, too. ….and it’s on a dimmer, which is fun. Ignore all the open cabinets, and just the basic “unfinished-ness” of the kitchen. We are much farther along than when these photos were taken….almost done. 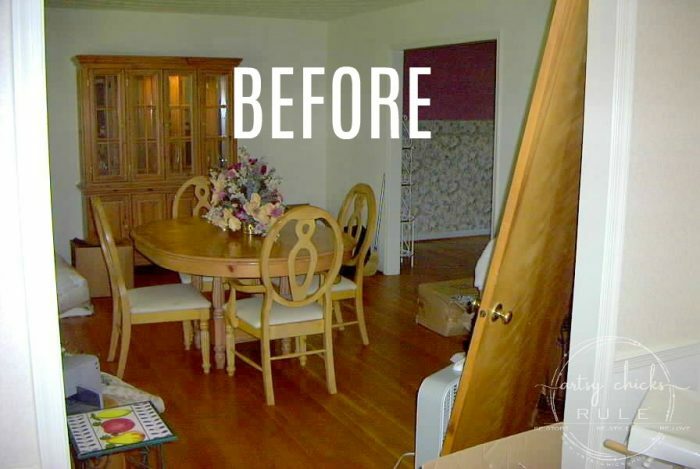 Let me sneak in a few “before” photos for fun…. The countertop you see there is also Wilsonart (laminate) that we installed when we moved in. 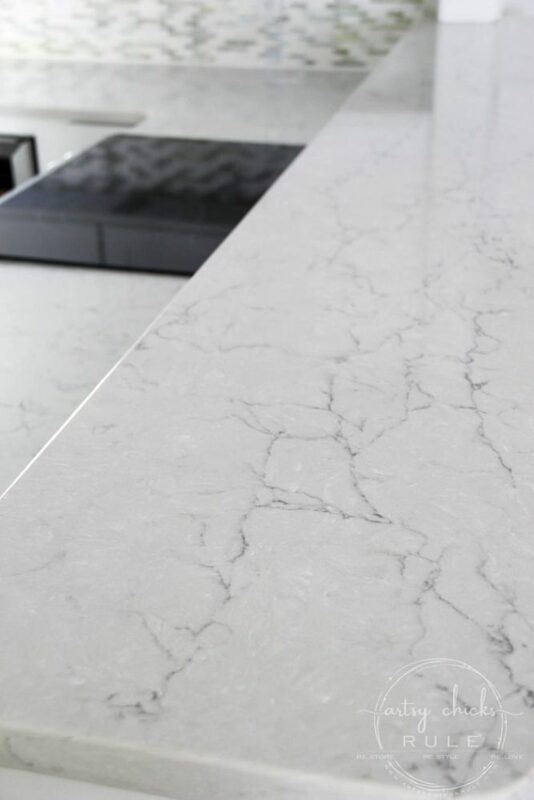 We have a long history with Wilsonart and have really enjoyed, and been very happy with, every product we’ve had. How about the REAL before, as in right after we moved in?? 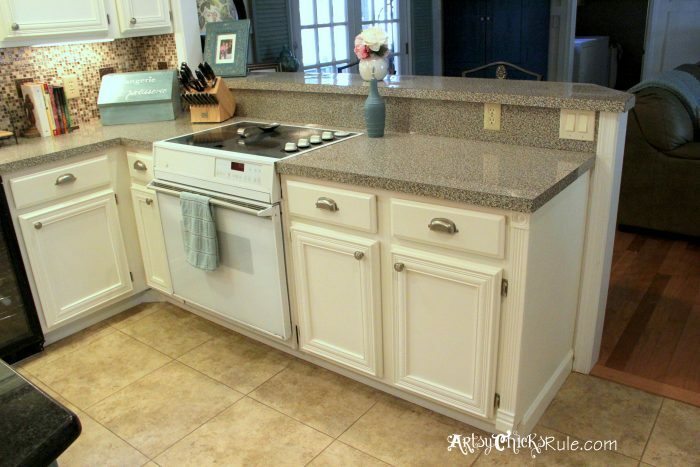 Yes, that is the same exact stove and countertops as in the photo above it! I mean you guys…..is that not a HUGE difference!!! The new countertop makes ALL the difference in here. It’s so beautiful to me. It was so smooth like buttah! Really, I’ve never felt something so smooth. 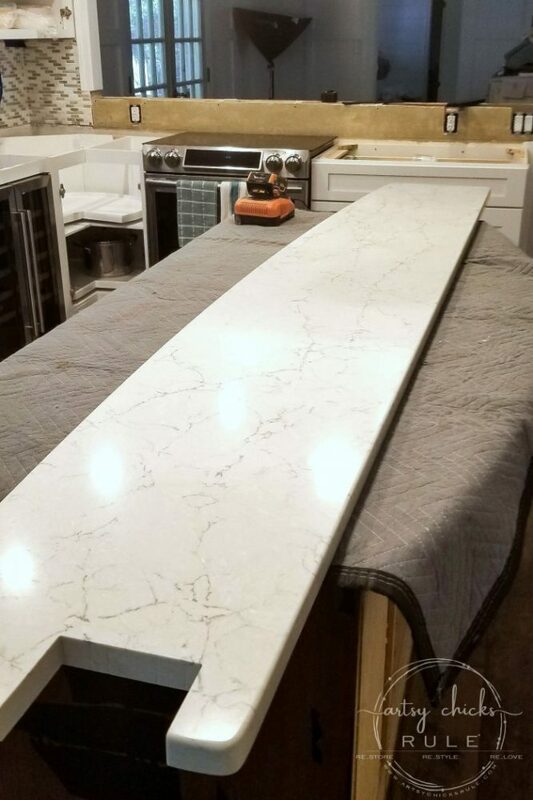 I thought my old granite top on the island was slick and smooth. But no, not compared to this, it’s different. So there you have it. 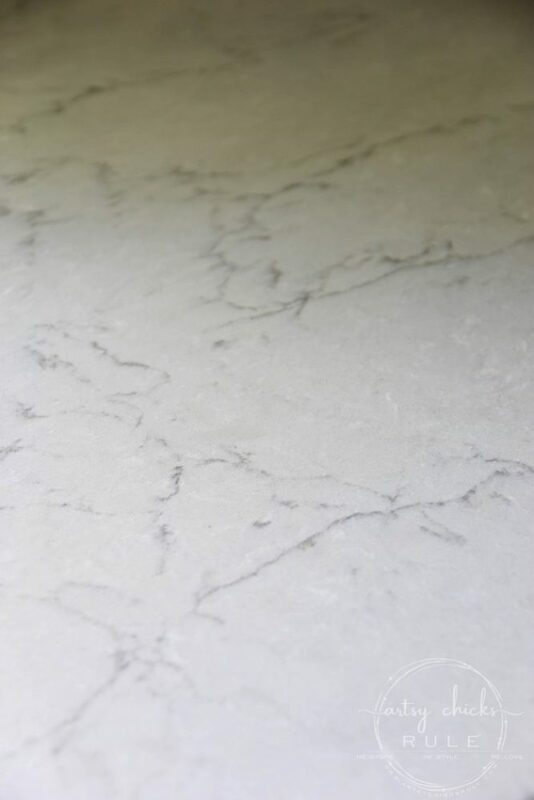 My Wilsonart Quartz Coastal reveal. SO, so, so happy I went with this one. They have a bunch of great options to choose from though. You can find them, here. Coastal is one of their new designs for 2018. 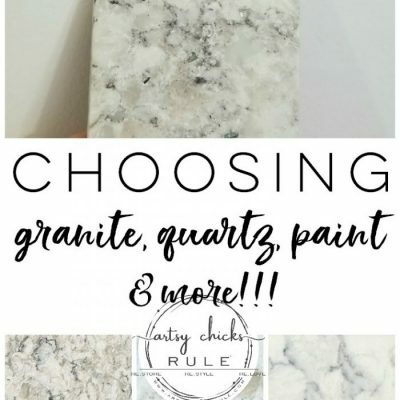 They created these new designs (there are several and can be found, here) to capture the beauty of natural stone while pairing them with neutral colors to go with endless color palettes and decor. They certainly achieved that, in my opinion. I would love to say I know what I’m bringing you guys next week but I have NO idea at this moment. Oh my, my head is spinning. But I’ll come up with something fun for you guys! I had also planned to get a Black Friday gift guide of all kinds of goodies that I love and that I think you’ll love put together, but we’ll see. I’m so excited to get all these reaveals out of the way so we can back to business here at ACR, and so I can get to all that fun Christmas decorating, that I have to be honest, I am finally itching to get going on! Have you started yet?? Or is it too early still? I used to always decorate Thanksgiving weekend but since the blog, earlier. 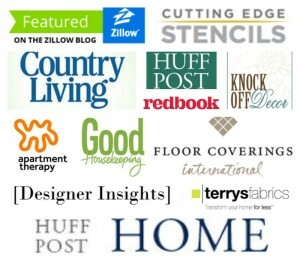 I’m actually “behind” decorating in blog world. ;) I might start a little this weekend. Be sure to check back next week when I reveal our next makeover….the dining room! Thanks again to Wilsonart for sponsoring this project. 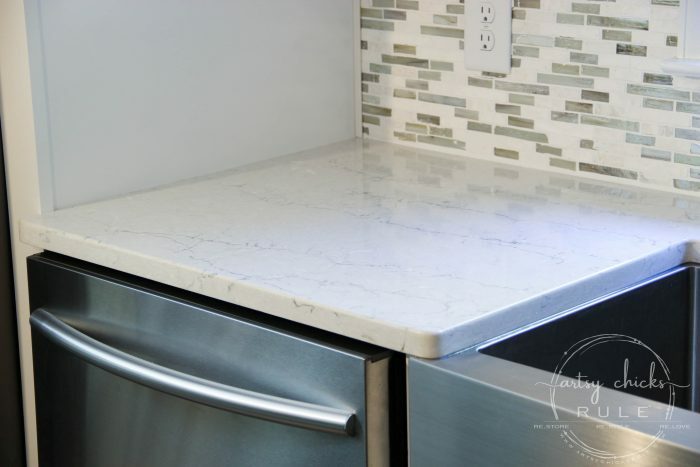 They were amazing to work with and I am beyond thrilled with them and these beautiful countertops, too. WOW! Nancy, your kitchen is a beautiful thing! I have had a love affair with Wilsonart for decades. Seriously, when I was 19 I did inventory control for a custom cabinet shop. Wilsonart was THE choice of 99% of the customers. :) This was WAY before stone or quartz came on the scene. Your LED under-cabinet lighting is wonderful. 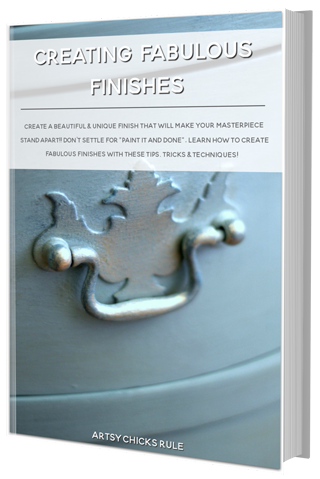 You are going to go bonkers when it is all done! 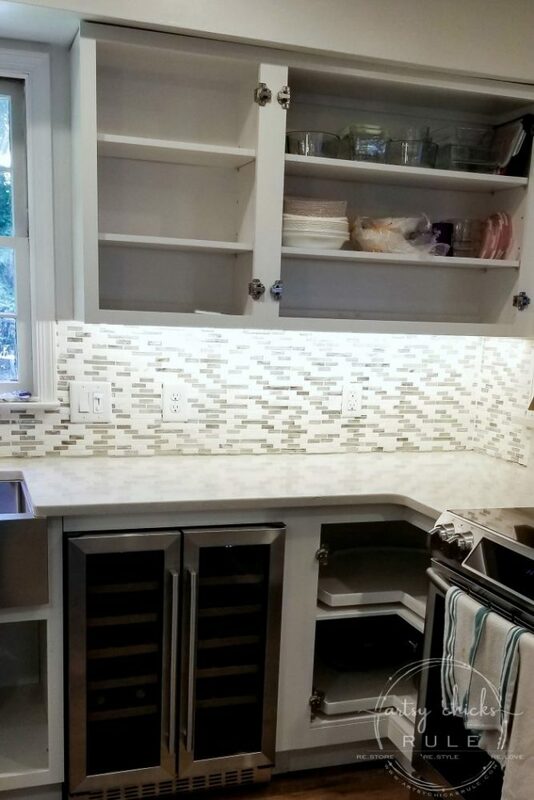 WOW beautiful job, love how it ties in with the backsplash. The openness of the space and color I see beachy, hammock, cocktail sitting back and enjoying your new awesome kitchen. “jealous” ? 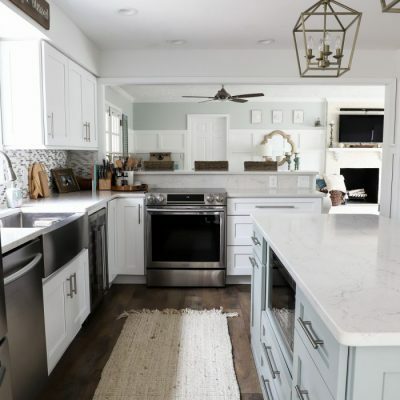 Would love to learn the details of that LED light strip you put under your cabinet….I need more light on my countertops and that would do the trick for sure! 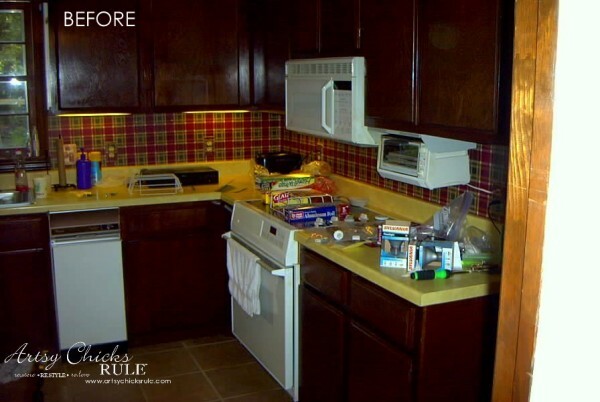 Can’t wait to see the entire kitchen reveal! Those are so pretty and I am sure you will love the color. I have dark green granite and it make the whole room look dark. I don’t think I will be able to change it out for the invested in it. Nancy! I am so excited for you! 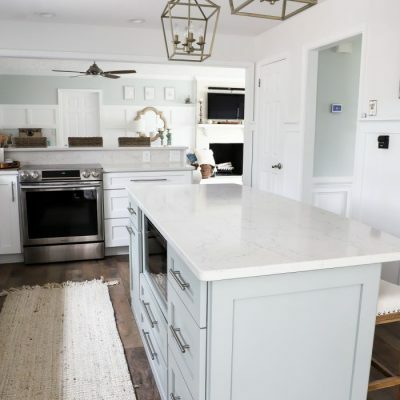 You’ve done so much to your kitchen through the years, but to get a new kitchen is so fun! That quartz is amazing!!! Looks like a color I’ve been wanting. 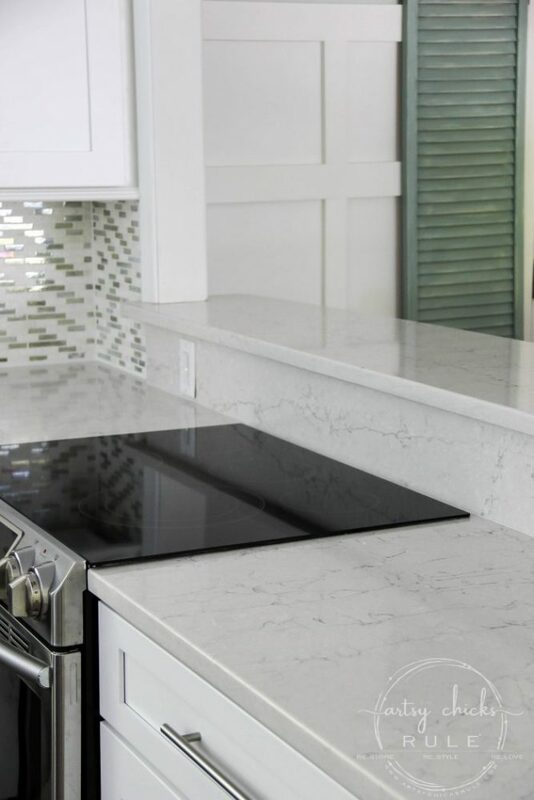 We have a darker granite on our island and lighter on the perimeter counters. We are wanting to replace the island. Beautiful choice. Will have to check out Wilsonart. The pattern you chose looks gorgeous! 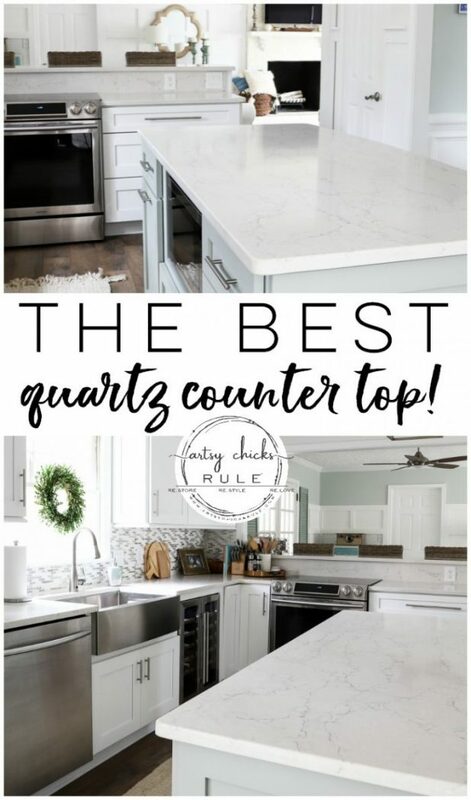 We are in desperate need of a kitchen makeover and I would love this exact quartz! The counters look gorgeous! It’s all going to be just amazing! WOW – the transformation is truly amazing. I can’t believe how good it looks!! Your counters look so beautiful! 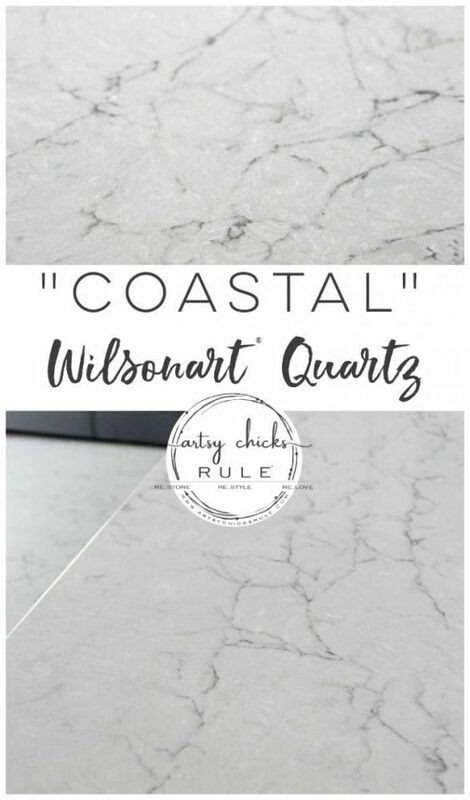 I didn’t know that Wilsonart had quartz but am glad to learn about these options. Replacing our counters is on my to-do list so I’ll definitely have to check out all of their choices. Love the led lighting too. My project list just grew, lol. Wowza. 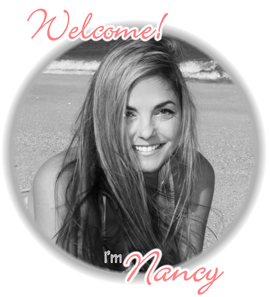 What an incredible transformation Nancy. Your choice is perfect. The counters are gorgeous Nancy! Coastal is the perfect name for them too! I love the veining! 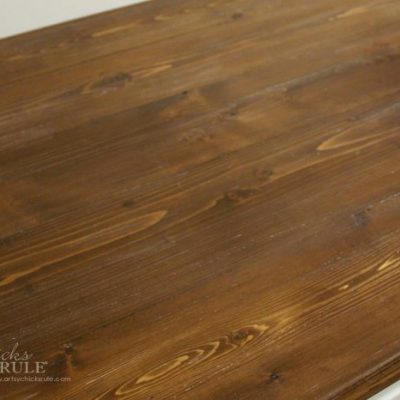 These completely change the look of your kitchen! What a huge beautiful difference! 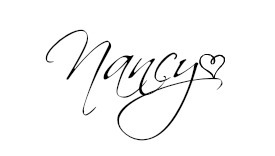 I am loving it, Nancy. I’m so glad they have distributors near me. I need to get over there and work up some pricing. Mine is coming along little by little and I need to start saving for the countertops. Yours look very nice indeed!